Seven-year-old Poppy Parkinson fromhad been spending the day alone with her dad James Parkinson, when he suddenly collapsed at his home in Harold Road, Hastings last month. Poppy, who is to begin studying at All Saints Primary School in September, found him unconscious after hearing a loud noise. Knowing she needed to call help as soon as possible, the young girl was able to use her dad’s mobile to dial 999. She stayed calm on the phone and was able to direct emergency services to her dad’s address. After treatment from paramedics, James was taken to Conquest Hospital, where it became clear the 45-year-old former police officer had suffered a brain aneurysm. Despite the best efforts of medical staff he died the following day. Poppy’s mum Ruth Botley said: “I want her to understand, perhaps when she’s a bit older, that she saved him. Although he didn’t make it, by calling the ambulance they were able to get him to the hospital and the ITU (Intensive Therapy Unit). By making sure the ambulance was there so quickly, it meant that everybody had the opportunity to say goodbye. 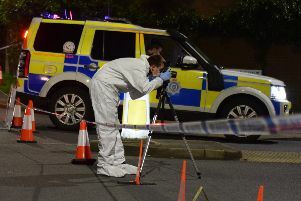 James Pavey, SECAmb’s operational manager for Sussex, said: “Poppy’s actions were remarkable given her age and the situation she found herself in. She showed tremendous courage and calmness and undoubtedly made a real difference. “It is a truly inspiring story of a child who, despite being placed in the most distressing of circumstances, acted with great composure and bravery, something that would have been difficult enough for adults let alone a youngster of seven.